Originally from the West Coast of Canada, Shay began her movement practice in dance, participating in dance competitions at University. She started yoga as a way to maintain her flexibility between competition seasons. However, after a dance-related injury, Shay began practising yoga with more dedication, and while continuing with her practice was surprised to find that the insomnia she had struggled with for years vanished. In short, she was hooked. 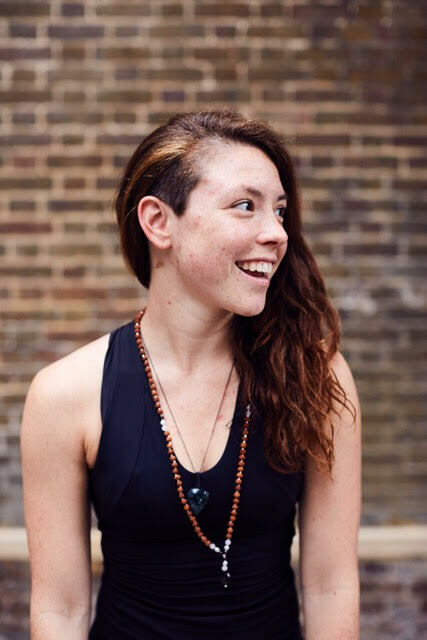 Shay is a qualified 500H RYT, having trained with The Yoga People in Rocket, and is also adept at teaching Ashtanga, Mandala Vinyasa, and Yin (See class descriptions). Shay particularly loves sharing her expertise with beginners; and is passionate about helping people find comfort and ease in their own bodies, while having a few laughs and tumbles in the process. In Shay’s classes you will be encouraged to challenge yourself with an open mind and compassion for your own limits. She fundamentally believes that the sacred does not need to be serious, and that a good sense of fun does wonders on the mat and in daily life.